by Asif Kamboh for the world! How to Remove Samsung FRP? 1. 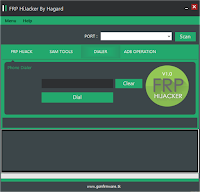 Extract the "FRP HiJacker by Hagard" Tool RAR file. 2. Open "FRP Hijacker" main setup file. 3. Select your Samsung Mobile device model. 4. Connect your mobile device to your PC or Laptop via USB cable in Download mode. 5. Select Remove FRP and Click on "HIJACK IT!" button. 6. FRP Remove 100% Done.Enjoy! Link 100% working Please read article "How to Download GSM Crack Tool Loaders without Box Dongles"